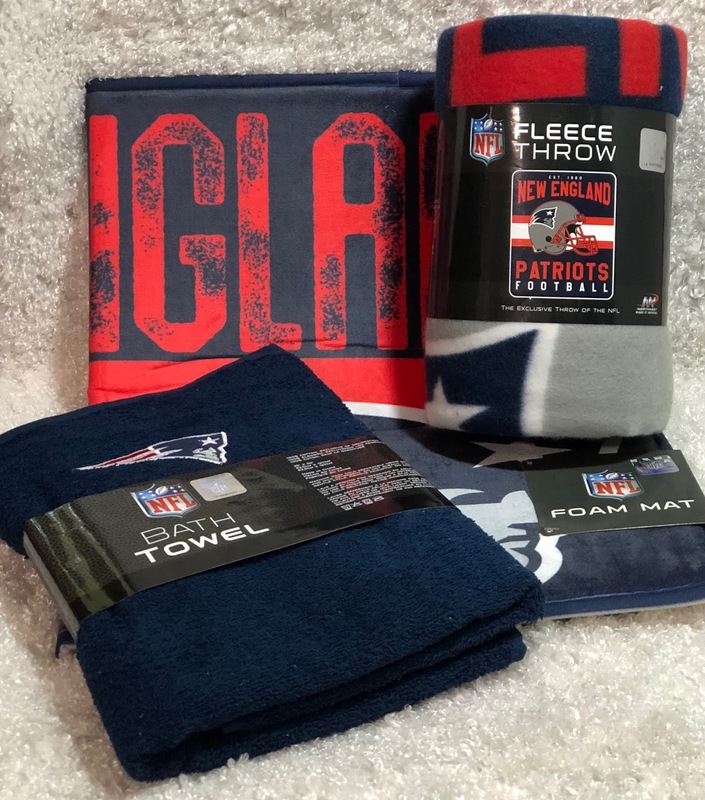 Whether you’re looking for a Father’s Day gift or are already starting to think about sending one of your kiddos off to college The Northwest Company has a great selection to choose from for any sports fan. 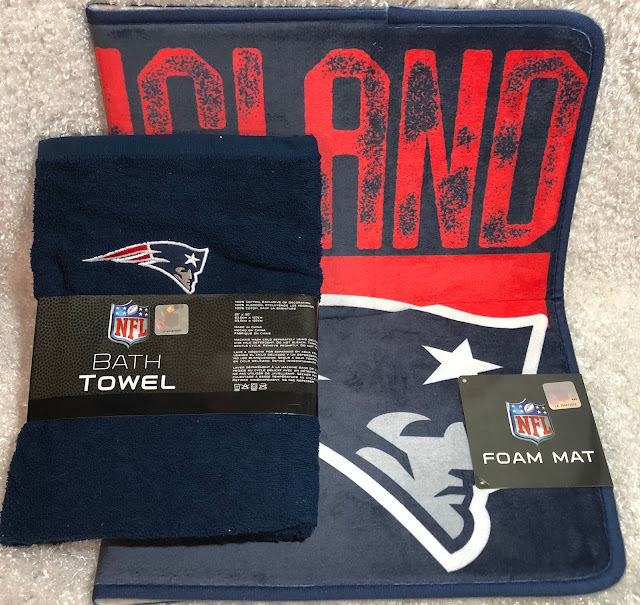 My husband and son are both big time Patriots fans so they will both be excited about receiving their surprises. 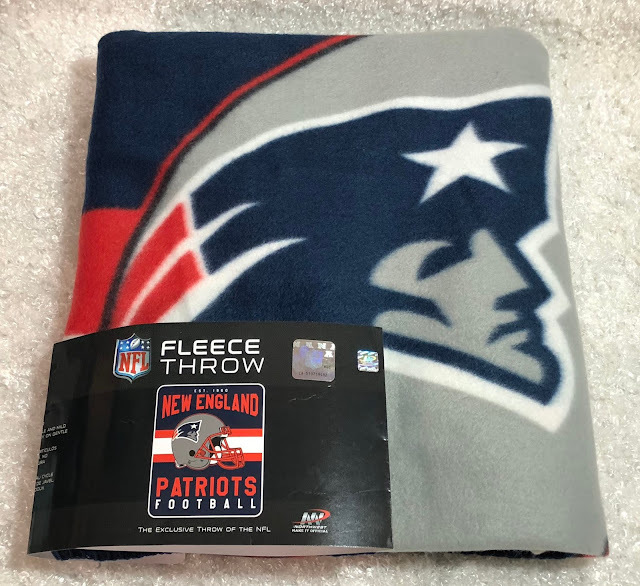 For Father’s Day my hubby will be getting this super soft fleece throw. It’s 50″ x 60″ so it’s plenty big enough for him to use while watching the game this fall. It’s 100% polyester so it’s nice and soft, and it’s machine washable so no worries if it gets food splatters on it. I really like that it’s a lightweight fleece vs. the thick plush fleece because it can be used pretty much year round. For my son that’s graduating from school here in a few weeks I received this awesome bath towel and foam bath mat. They will be the perfect addition to his bathroom and both sport his favorite team so he will love them. The bath towel is 25”x 50” and features an applique of the Patriot’s logo. I like that the applique isn’t super big so it won’t be scratchy when he’s toweling off. The bath mat has a “worn out” look to it which is fitting for a teenagers bathroom if you ask me. It’s 100% polyester and is filled with foam so it’s super soft when you step on it. Let me tell you it was really tempting to keep it for myself it felt so soft and smooth. The Northwest Company is the leader in Branded Home Textiles. As the number one throw manufacturer in the United States, Northwest continuously produces New, Innovative and Exciting products for the majority of the worlds’ most recognized and loved Brands in Sports, Entertainment and Lifestyle. In addition, we carry a full line of Northwest Original designs. The Northwest Company operates as an Environmentally friendly and Socially conscious company. We utilize solar and water based energy sources, and along with other measures, we have banned the use of plastics in food service in our facilities. “Northwest Cares” We take tremendous pride in that we donate 10% or more of our profit every year to over 150 recognized charitable organizations. Northwest also donates over 100,000 blankets per year.